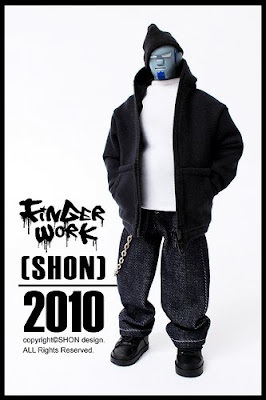 It's Shon who did the first 12" figure in Taiwan. You will like it if you see it . Shon's toy all come with box and the limited editional certificate. Shon is a very ture person and has his own strong personality. He never go with fellow, he just want to be himself. I am sure you must see it in somewhere. What he really want is hope everyone can notice street art in Taiwan. Welcome to order Shon's toy. There are 6 limited handmade figure only sell on internet . Thank you very mcuh ! !